There is a link called "Terms and Conditions" at the bottom of the sign up page, the one where it says: give your personal information. You can do this before you enter your CC info. Now that you have had your head handed to you, maybe this is a good lesson to remember when you try this in the future. The internet is a good source of information when used intelligently. When there is a seemingly a good deal out there, ALWAYS do your research (google name) and read the fine print. Review #209218 is a subjective opinion of mmjd01. 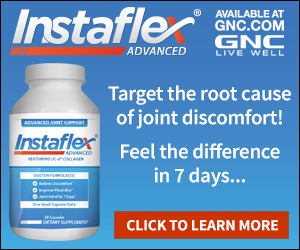 I was ripped off by Instaflex, i.e GNC. The trial bottle did not work for me & I was auto-billed $74.98 without my knowledge. I have been a customer of GNC stors for years. 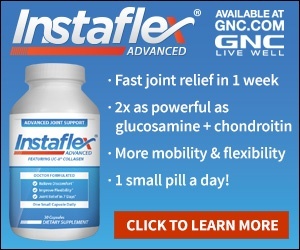 Of course it was in the fine print, but I trusted that a Quality Company Like GNC would not have to pull off a stunt of this nature to get customers. I quess that they knew that their product did not work. I have filed a complaint with the Ky.
Attorney Generals Office of Consumer Affairs. The BBB. I am am also going to contact the Federal Trade Commission to get theeir take on this. I am also contacting the CEO of GNC to let them know that they have lost a loyal customer. I agree I was taken. Although, I remember marking to be sent only the sample. I will recover. I am concerned about our Seniors.